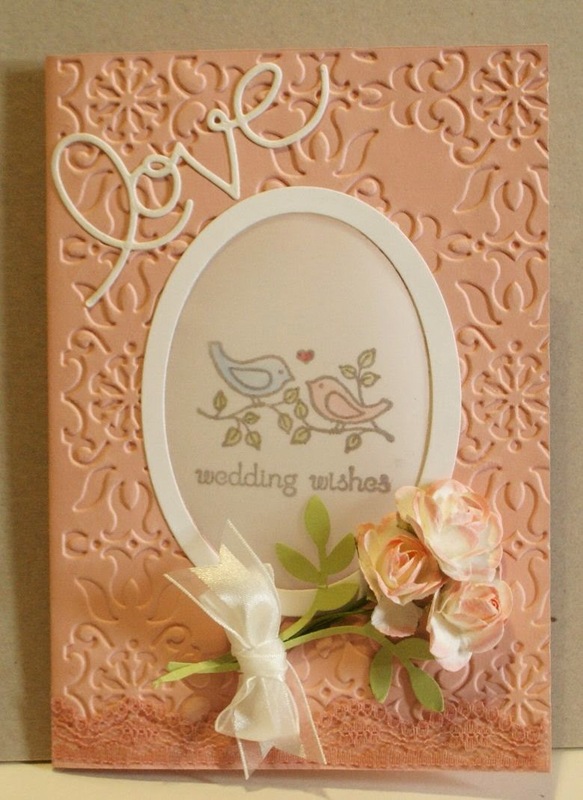 First I took some Blushing Bride cardstock and formed my card base. I prepared some non Stampin' Up flowers that I sponged and enhanced with leaves from the Bird Punch. I stamped with a retired set on the back of a white vellum cardstock sheet then coloured it with Stampin' Write markers before sandwiching it between oval frames. The card front was embossed after I cut out the oval shape and before I added the vellum image. I tied the flowers and punched leaves together with Organza Ribbon then adhered them with Mini Glue Dots. The Expressions Thinlit word is on the Clearance Rack if you want to order any before they disappear forever. After i made the card, I realised it was very three dimensional and would not fit into an ordinary envelope. So I brought out my Envelope Punch Board and made a card box from some matching designer series paper. 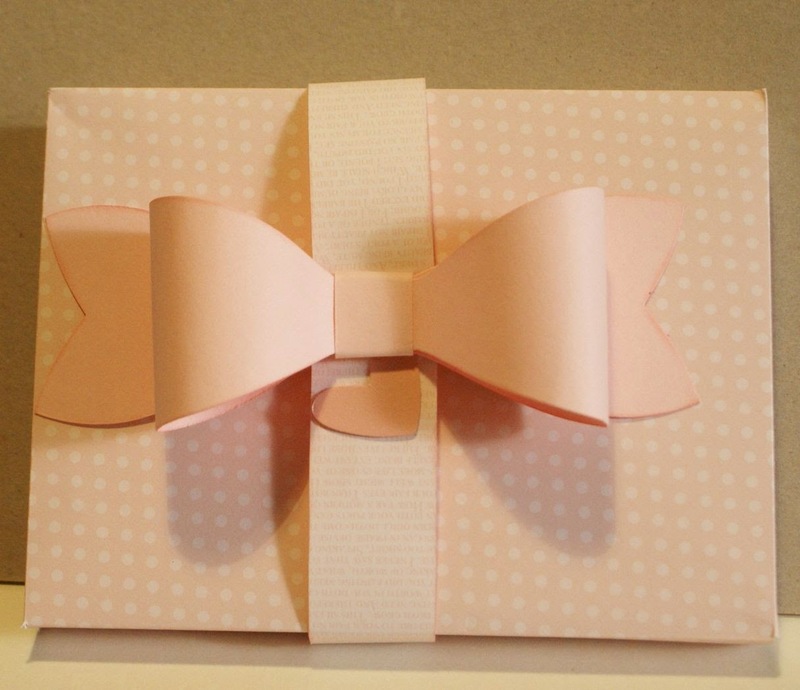 That seemed to need extra embellishment so I broke out my Gift Bow Bigz Die and made a matching paper bow from Blushing Bride cardstock, then used my Hearts A Flutter Framelits to make a little heart enhancement under the bow, and attached them both to a belly band. Just beautiful Susan. Very special.